Our latest Designer Spotlight puts the focus on Steven G., the mastermind behind the design firm bearing his own wonderfully colloquial name: “Interiors by Steven G.” Steven was only 20 years old when he began working in the industry. He started small at a little boutique firm and as the firm grew, so did Steven. Fast forward 10 years, and he was ready to forge his own path. Approximately 31 years ago, he opened the doors to his very own company and, in his words, it’s been a great ride ever since. “We have built one of the largest firms in the United States,” Steven elaborated. 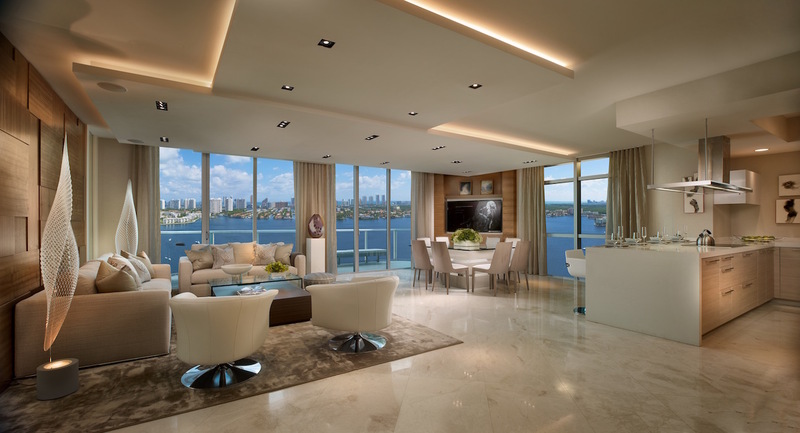 And while South Florida is their home base – with an office in Pompano Beach and showroom in Sunny Isles Beach – they do touch New York, New Jersey, Washington, and Texas, as well. Every interior designer comes to the field in their own way. For Steven, the draw to interior design was exactly that: growing up, he always enjoyed drawing. As he grew older, he also felt he had an innate, natural talent for the design business. When he entered the design industry, he knew he had found his home. When it comes to the design style out of Interiors by Steven G., the answer is twofold. While Steven himself loves the look of the contemporary world – polished concrete floors, fabulous area rugs, minimalistic furniture, and amazing lighting – at the end of the day, the secret to success is having the talent to design to anyone’s taste level. Start with the floor and the rest of the room follows, but when does furniture start to come into the picture? In Steven’s view, furniture is actually the least important item in a design project. One of the reasons Steven and his team enjoy working with STARK is the attention to detail given to every request. Once certain initial design choices have been made, the STARK rep is consulted, who then provides them with everything they need to create the flooring of their clients’ dreams. STARK’s mission is to provide exquisite luxury offerings for interior designers across the country like Steven G. and his team – not only with our many rugs and carpets, but in our collections of fabric and wallcovering as well. For more interior design, check out our latest Before & After with Heather Garrett Interior Design, as well as all the interviews in our Design Showcase and Ashley Stark-Kenner’s design picks in Ashley’s Window. Stay up to date with the latest happenings in Behind the Scenes and Press & Events. If you’re a member of the trade, find out the benefits of our trade program and apply for an account today.